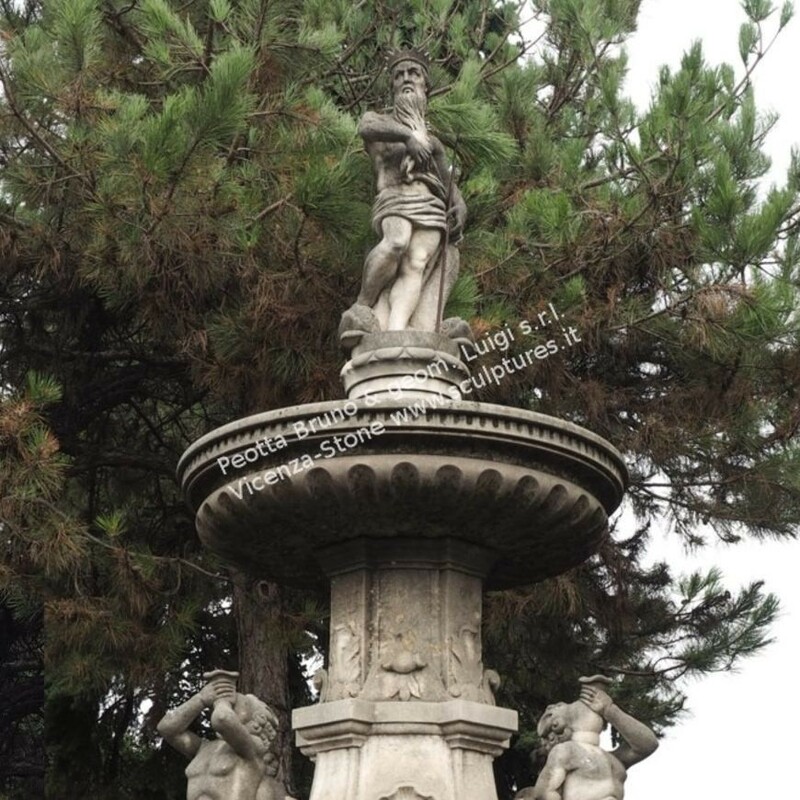 Very important Neptune Fountain all carved by hand in natural stone. 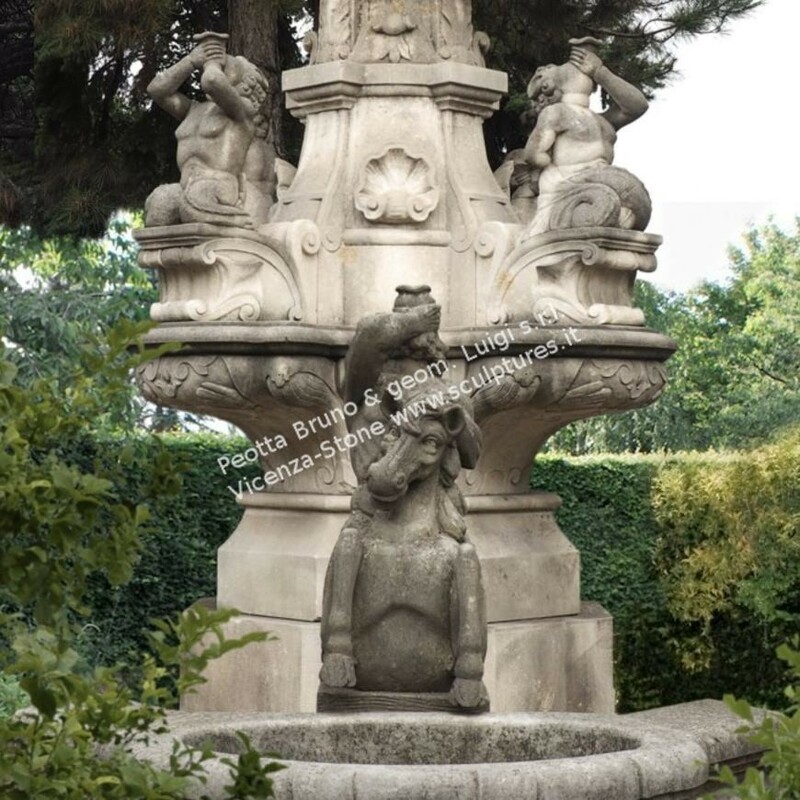 The central column with leaves and shells decoration With a four lobo base with 4 different cherubs that will come out the water on the coping. On the top the great Neptune sculpture, the god river with dolphin with water on the top large bowl. The Coping have 4 large bowls aroung with 4 different sculpture centauris with cornucopias or shells. 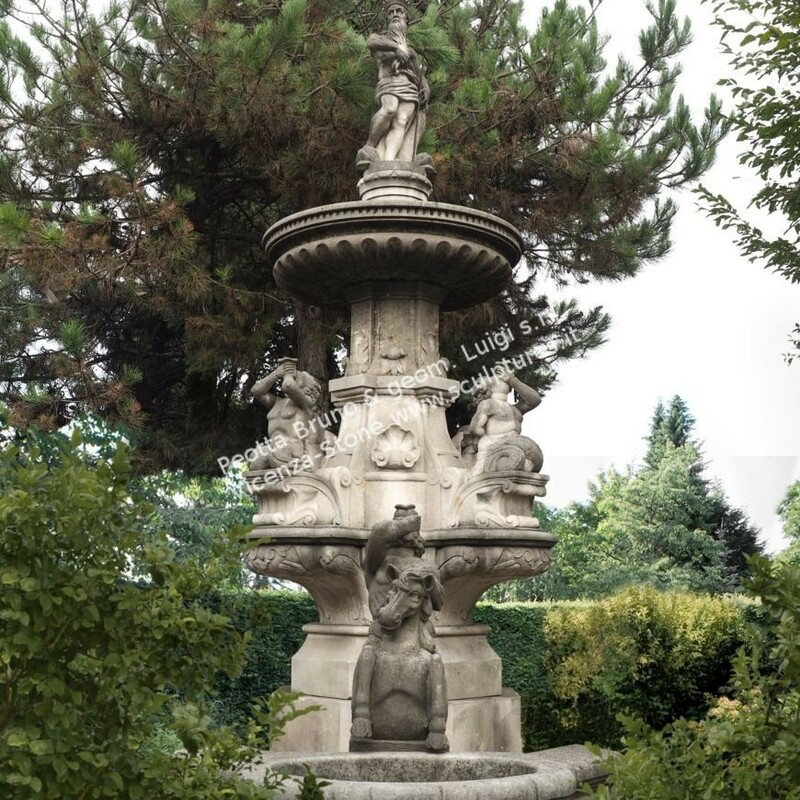 The sculptors designed this large Fountain seen the original drawings of the Trento Fountain, was the first large Fountain project carved in Italy. It’s simil a style of Roman handcarved sculptures of Bernini’s as Trevi Fountain and much more.